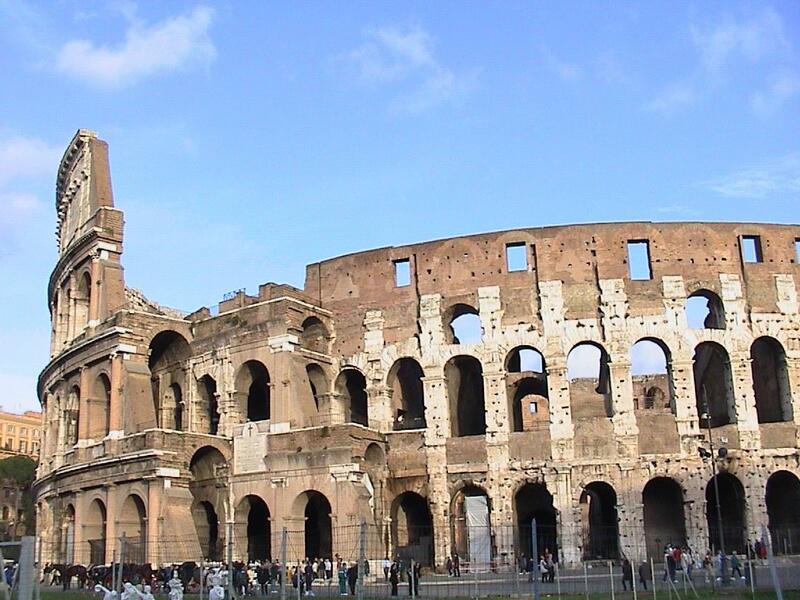 The image of the coliseum is one of the best-known to those of us outside of Rome. Actually seeing it is amazing, and surprizing. As much as any huge edifice can, it sneaks up on you as you walk down Via Dei Fori Imperiali, the main street which leads from the Vittorio Emmanuele II monument past the Roman Forum and Hadrian's Market. All of a sudden there it is, a few feet away from the curb. 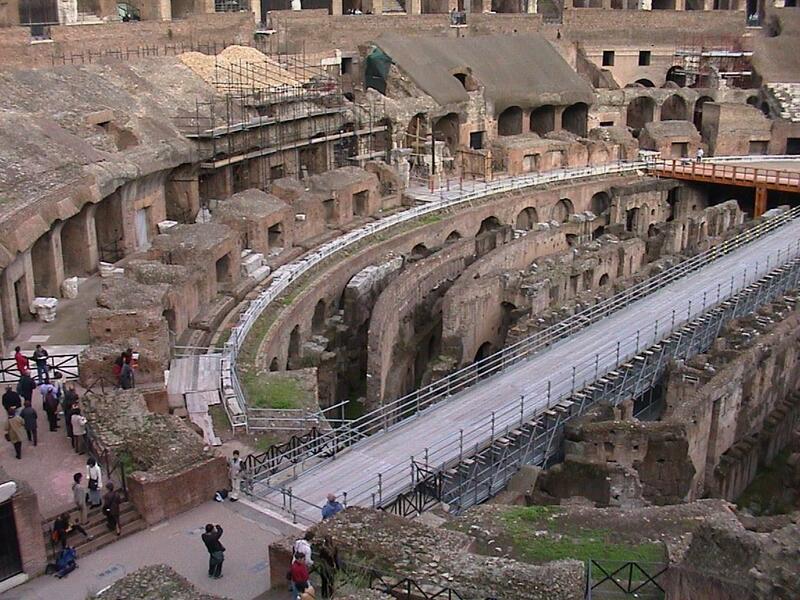 Seeing it I was struck by how little changed has been the metaphor of sport observation: our arenas are built exactly the same way as is the coliseum: outer wall, inner wall, areas for vendors, stadium seating, stairwells for access to each floor, etc. 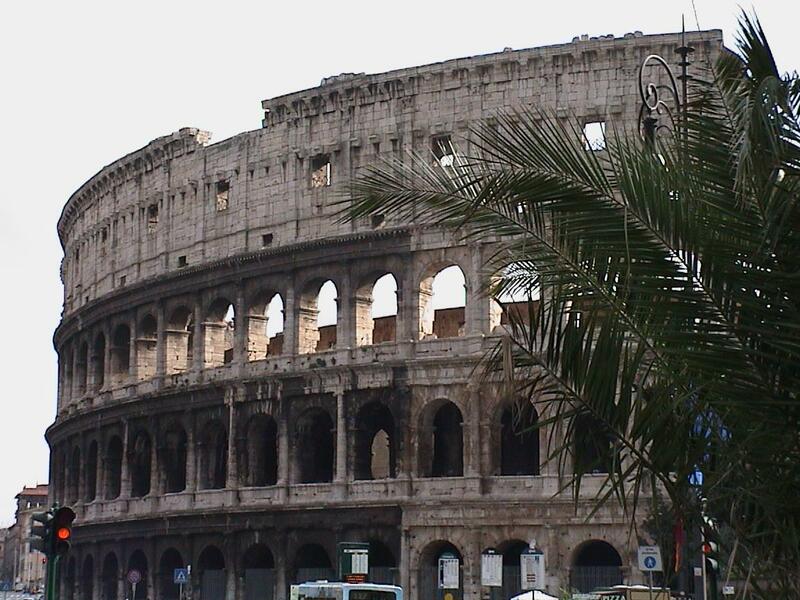 The interior of the coliseum is also stunning. Larger than I expected, it's very well-preserved, especially considering the caustic muck which passes for air in polluted Rome. 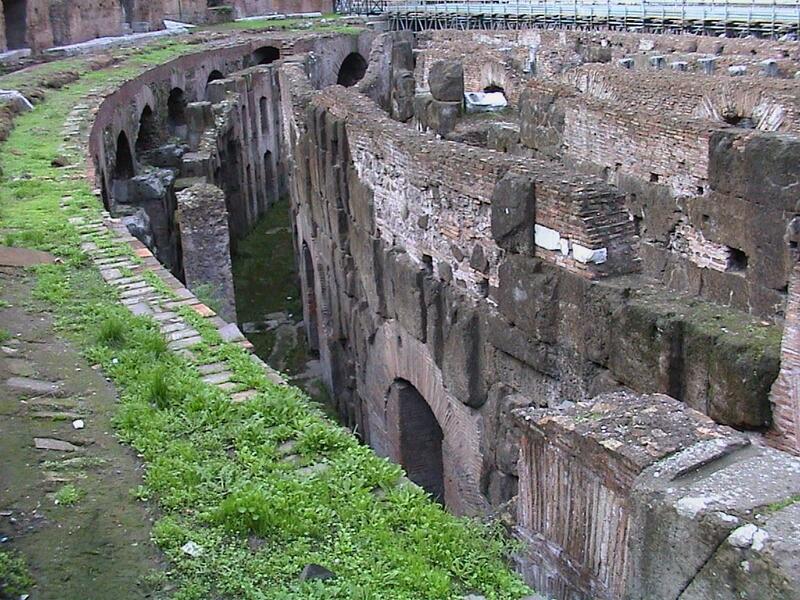 The wooden floor of the arena is long gone; looking down one can see the intricate series of corridors and holding cells under the central area. It was here that we encountered the Walks of Rome tour group; they were excellent: detailed, funny, and fluent in English. 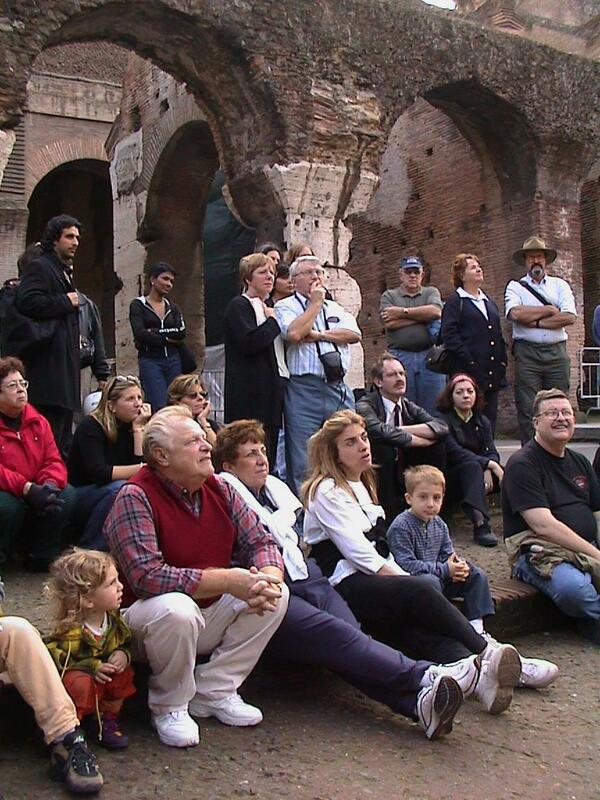 Because of an ongoing-dispute between the Italians (who want only native Italians to give tours) and those who can speak English you may find that the tour group you choose may not be able to give presentations inside some buildings. His Holiness, Pope John Paul II, has spent ten million dollars (!) on the required archeological and architectural work to build the walkway and platform you see in the panorama above. We were told he's planning on giving a series of lectures shortly, during the Jubilee (Gubileo). There is a wooden cross in one of the arches which dates back to the Empire, a significant relic to the church, which will serve as the focus of some of these talks. At right is a closer view, from one floor up.